Boyd's Sewing Center in Traverse City, Michigan is Northwest Michigan's authorized Husqvarna Viking® sewing machine dealer. As of August 2014 Boyd's is now an Authorized Dealer for Juki®America Sergers and Sewing machines. Juki® has always been the leader in the commercial (industrial) sewing machine industry. We are now able to offer you their "home" versions of Sergers and Sewing Machines. We are very proud to represent this great line of products, We would love to show you just how easy serging can be with the automatic "Air Thread" on the model MO 1000 can be. 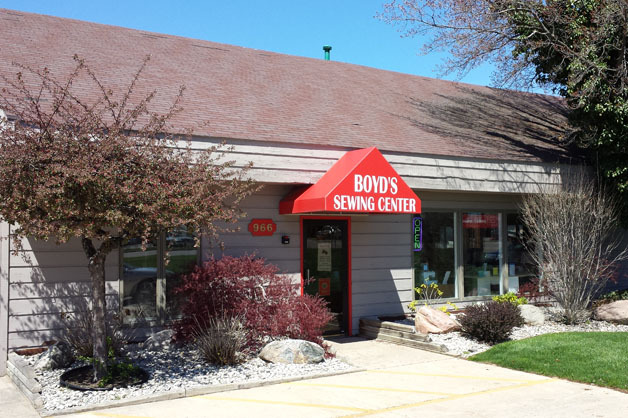 Here at Boyd's Sewing Center we are proud to provide Traverse City and the surrounding area with the best service for your home sewing machine, serger or embroidery machine. Stop by and let us service any home sewing machine or serger you own. We have a professional service department that can take care of any make or model sewing machine or serger. We give FREE estimates so stop by today. Sew Much More is a Premier Dealer for Horn of America® Cabinets and brings to you a wide selection of notions and threads. Sewing,quilting and machine embroidery, in Traverse City, is a growing hobby. Boyd's and Sew Much More specializes in Machine Embroidery, but we love trying to answer any questions,or help you find the answers, to any intricacies of your sewing projects. We are always looking for new, experienced teachers, that would like to share their talents with others on any type of sewing or fiber art. Boyd's Sewing Center and Sew Much More's goal is to offer you the highest quality,or (best) products (machines, threads, needles, sewing supplies,etc.) at a fair price, that will make your sewing experience the best that it can be. Come visit our location off of South Airport in Traverse City and we will help you find what you need for you next project. 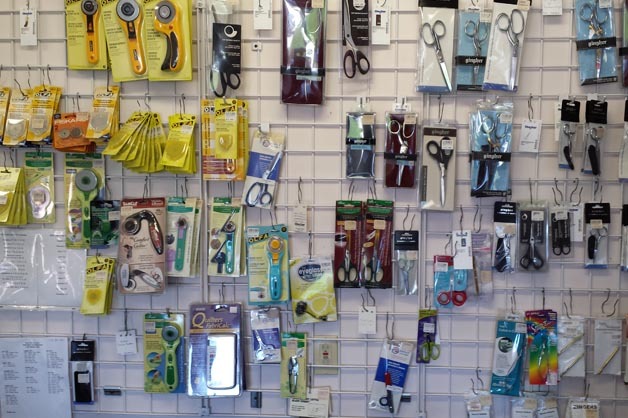 We carry a wide selection of products in our showroom to meet all your sewing and embroidery needs.